With the exception of the portrait miniature, the use of the human form in jewellery is seldom purely representational. In the 1970s aspects such as humour, eroticism and symbolism were also present. For goldsmith and musician Kevin Coates, ‘the figurative element almost always exists within a larger abstract context’. Suffused with allegory, myth and mystery, Coates’s intellectually complex work draws on an extraordinary range of materials and surface colourings. 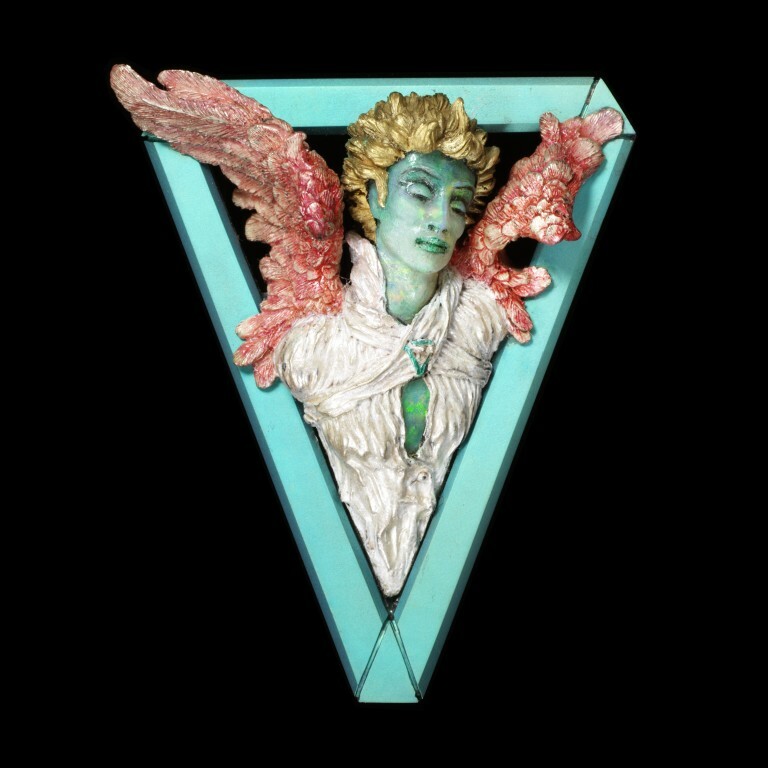 Brooch depicting an angel within a triangular frame of turquoise-coloured titanium. 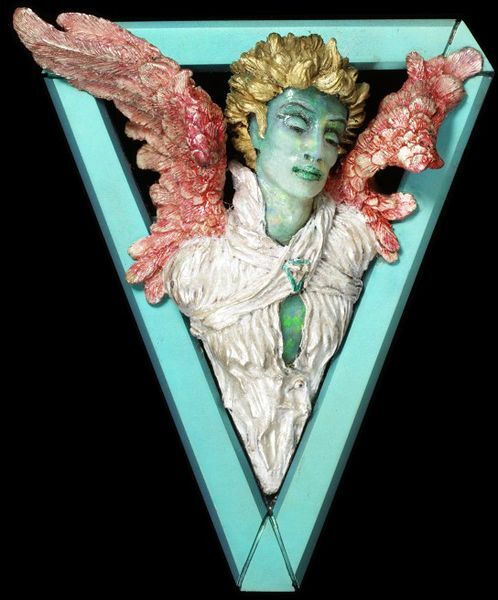 His face and body are of carved opal, his robes of silver, his wings of patinated silver and his hair of gold. 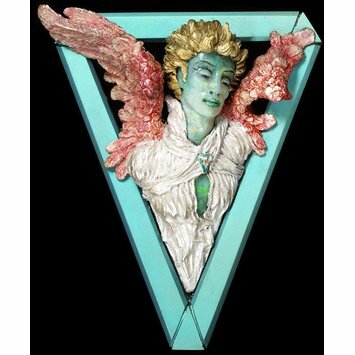 'Seraph' brooch by Kevin Coates, London 1989.